Our Private Charters consist of reserving the whole boat for your individual party. 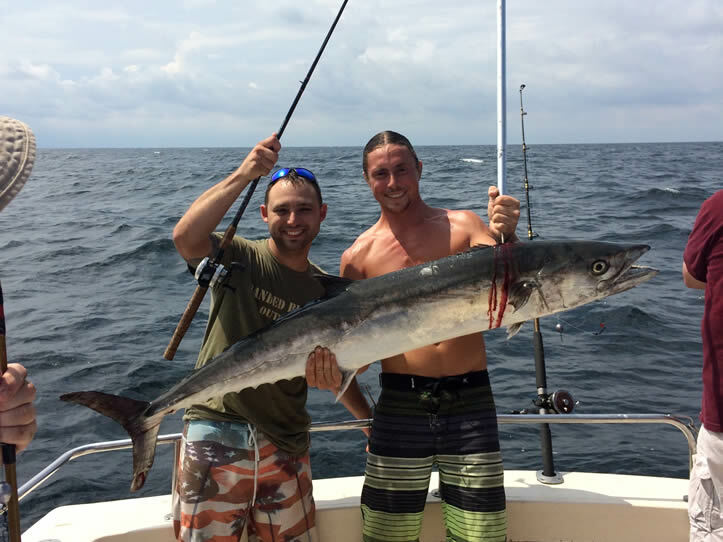 We offer deep sea and bay & jetty fishing charters. All prices include the the cost of diesel fuel. All fishing equipment and bait are included. A 50% Deposit is required to confirm your reservation. Full payment is due prior to departure. Trips can be prepaid in advance of departure date. We accept major credit cards, cash and our gift certificates. Trip prices do not include fish cleaning services or customary crew gratuity of 15-20% . $625 for up to 6 passengers. Add $60 for each additional passenger to a maximum of 18. $1395 for up to 6 passengers. Add $125 for each additional passenger to a maximum of 18. $1695 for up to 6 passengers. $2295 for up to 10 passengers. Add $125 for each additional passenger to a maximum of 18.